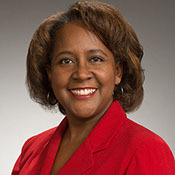 Karen Hester, JD, LL.M. in Taxation, has more than 10 years of experience working in diversity and inclusiveness. In 2015, she was named a Diversity Champion by NALP’s Diversity & Inclusion Section, which recognized 11 individuals nationally. She is an accomplished trainer, presenter, facilitator, and industry leader on the topic of diversity and inclusion in the legal profession. Karen is a former practicing attorney and the former Director of Diversity and Inclusion at the University of Kansas School of Law. She has multiple degrees: a law degree from the University of Cincinnati College of Law, an LL.M. in Taxation from the University of Missouri Kansas City School of Law, an M.S. in student personnel and counseling, and a B.S. in mathematics from Kansas State University.